This high temperature, heat, flame and pyro resistant fiberglass sleeve and jacket is fabricated from high quality type E fiberglass that will not burn and will sithstand continuous exposure to 1000F / 520C. Provides excellent protection for wires, cables, hoses, tubing and pipes. 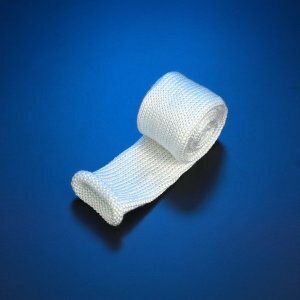 Also provides personnel protection from hot pipes and hoses. These sleeves resist most acids and alkalis and is unaffected by most bleaches and solvents. Highly flexible and conformable. · Heat Treated Braided Sleeve. 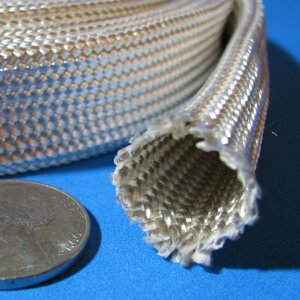 Also available are small diameter sleeve, in plain braid and also with binders and coatings. Binders and coatings improve abrasion resistance and reduce frey.